Home/Blog/How long does it take to have my home designed? 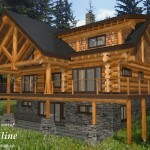 Designing your log and timber home is a critical part of the overall project and will help ensure that the building of your home is done correctly. We have worked with many clients over the years and seen projects designed in a couple of weeks or as long as three years. On average, you can expect it to take 6 – 8 weeks to receive a full and completed set of plans. Where is the site location for your home? Pictures and property details are helpful. Are there any specific features on the property that we need to be aware of (Bylaw restrictions, creek, views, sun orientation, trees, lake, slope etc.)? Do you have any current plans, pictures, sketches, styles or designs that you like or don’t like? Do you want a basement included? If so, will it be a walk out? 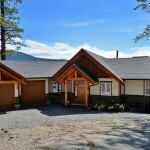 What type of structure (full scribe, timber frame, post and beam) do you want? What is the square footage (approx.)? How many bathrooms and bedrooms? The more details that you have for your home the quicker we are able to move the design process along. If you are not sure what you want we are happy to help walk you through some options and ideas. Visit our design plans and portfolio section of the website for ideas or contact us and we can help you through the process.